So, you want to buy a Shelby? Buying your first Shelby can be a big step. There are a number of things you should know before you make the deal. 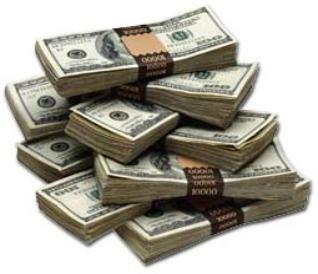 The important thing is you know what you are getting before the money exchanges hands. Let's be perfectly honest. The price is always a factor. It is unlikely you are going to get a car for under $50,000. That is just the reality of the market. While it does happen on a rare occasion, you still have to know what you are buying. Don't confuse the price the value. They are different. You could buy a car that is worth $100,000 for $50,000. Conversely, you could buy a $100,000 car that is only worth $50,000. It is up to the buyer to be informed about the value before purchasing the car. It is not unusual for sellers to raise prices significantly waiting for a "fish". Another common technique is to tell potential buyers something like, "a deal is pending" or "we have another offer". I recently dealt with a friend who came up with a creative solution to this ploy. He called the seller and said, "I have decided to make you an offer. You have one hour to decide if you will accept it." By putting the time limit (albeit a short one) on the seller, he regained the upper hand. One other thing sellers like to do is convince you of rarity. This could be your one and only chance to purchase such a rare car. It's one of one like it in the world. I have been involved with 1968 Shelbys for over twenty five years. There are new cars for sale everyday. Sellers have a variety of reasons for selling their cars and 1968 Shelbys will continue to exchange hands for many years to come. One last thing to remember is prices go up and they go down. I have seen some 1968 Shelby convertibles sell for as much as $300,000 only to be resold for $75,000 years later. If you are banking on a vintage car as a retirement fund or your kids college fund, you might consider other options. The original 4450 Shelbys produced are scattered all over the world. I strongly recommend you make your search a national search. If you only consider the immediate geographical area, you will be severely limited in your choices. Shipping should not be a concern. There are many qualified carriers who will ship the car across the country. If you are unfamiliar with Shelbys you need professional help (probably in more ways than one). I strongly recommend you enlist the aid of someone who is familiar with the cars. You can find these people online in the forums or through your local Shelby clubs. Typically for a small fee plus expenses, these people will give you a full inspection of the vehicle. Never buy a car sight unseen. There are really two aspects to identifying an original 1968 Shelby. They are the body and the identification tags. Identifying the body is not as easy as it may seem. Many people under the impression that 1967 and 1968 Mustang bodies are the same. While its true many body panels will interchange, there are significant differences between 1967s and 1968 cars. 1968 Mustangs were built in three separate assembly plants. 1968 Shelbys were all sourced from the Metuchen, New Jersey assembly plant. Each of these plants had it's only assembly techniques. Yet, another good reason to find someone familiar with these cars. Identifying a restored car becomes a bit harder. You may need the services of a professional bodyman to tell if body panels have been replaced. Sometimes they can also tell you why the panels were replaced. 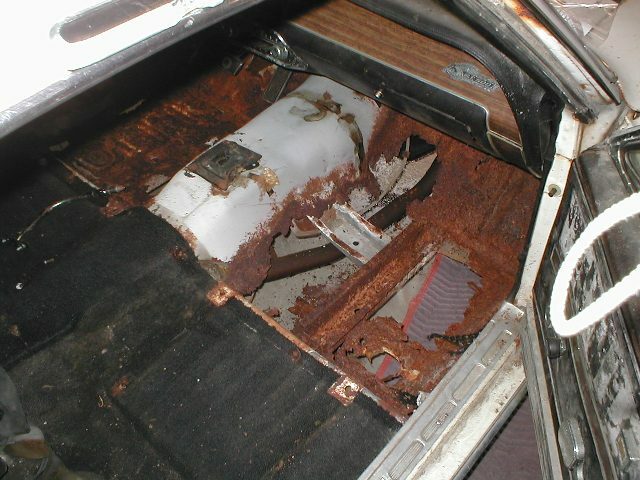 Rust and accident damage are common reasons. The least desirable reason is someone tried to imitate the Shelby. Bodies were also modified by AO Smith the subcontractor that completed the 1968 Shelbys. These are all important clues when identifying a body. I once looked at a car for two hours before I noticed the front half of the vehicle was actually from a 1967, the back half from a 1968. I am not passing judgment on that automobile. I am just saying, you need to know to know what you are buying. You may be perfectly comfortable with that scenario and the price should reflect it. 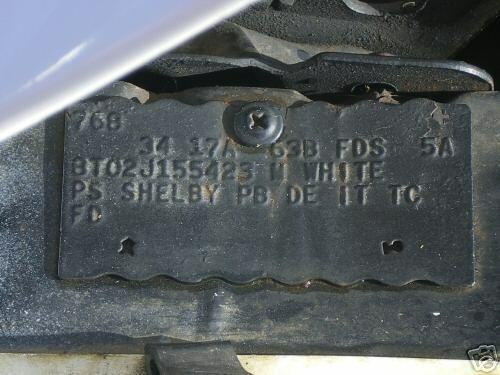 All of the identification tags that appear on the 1968 Shelby are reproduced. If you know the right people, you can get a full set of tags. Does that scare you? Actually, it is not uncommon for cars to be missing at least one tag. Tags are replaced for a variety of reasons. Again chose an expert who is knowledgable in these matters, so you can make an informed decision. Personally, I would not pass on an otherwise "good" car if it was missing one tag. It all goes back to your tolerance levels. The hardest part of any inspection is determining if those tags came on the body. No one can guarantee you a car is authentic. Let me repeat that....No one can guarantee you a car is authentic. Yes, I have seen the services that proclaim to do so. There is always someone that knows more than you. That could be the person that has finagled the numbers or rebodied the car. A rebodied car is one that did not start out its existence as a 1968 Shelby but has now morphed into one. I won't go into a discussion of what is legal or moral, but it all boils down to tolerance levels and choices. There is a general equation that states the price of the vehicle can be determined by its value less the restoration costs. That is not the case with 1968 Shelbys. The cars have a minimum value. That floor makes it very possible that you can quickly become "upside down" on a project car. You can probably buy a GT500 for $50,000 and easily spend $75,000 restoring the car. The value of the restored car may still only be $100,000. Just something to consider as you make your choices. In summary, you are probably not as far away for that first 1968 Shelby as you think you are. Take your time. Don't be pressured and find someone to help you. You will have a car you can enjoy for years to come.